In the past couple of posts, I have explained the methodology behind revenue cycle analytics, including the best practices and the importance of defining your revenue stages. 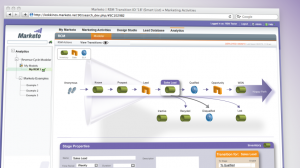 In this post, I give a sample revenue stage model and dive into a more detail about the Marketo methodology. 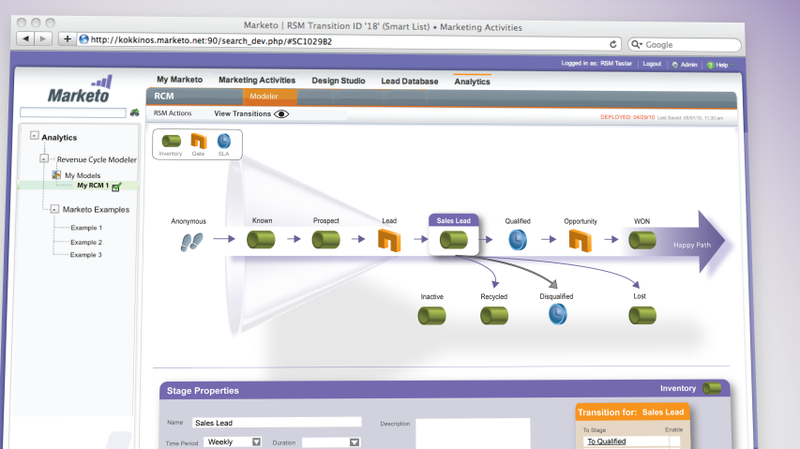 Marketo’s revenue stage model first defines the “success path,” i.e. the traditional funnel that leads linearly from new lead to closed, won business. This sample model has few opportunity stages; many companies may want to add additional Sales stages, and even model additional stages after Closed Won, to model the customer lifecycle.